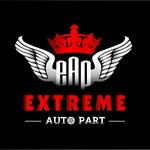 Extreme Auto Part delivers quality used OEM Automobile parts and accessories to homes and businesses across the United States. Our goal is to provide our customers with quality parts and reliable service at the most competitive prices on the market today. Call our professional service team (469) 930-4050 or email us at info@extremeautopart.com for help or questions anytime - customer satisfaction is our highest priority. Soon as we enter the market, we became one other pioneer in this industry due to our quality and fast response to the customer queries. We have served thousands of customers so far and will serve many more.